MEMBER LOGIN / MEMBER SIGN UP. 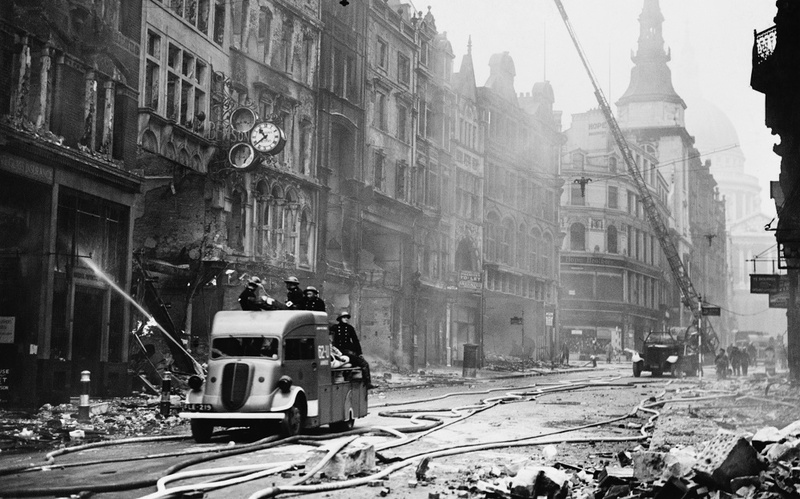 Today, the 10th May marks the 75th anniversary of The Longest Night; the worst night of the Blitz. To commemorate the tragedy, Armed Forces Charity, SSAFA, commissioned a survey into people’s understanding of the event. Shocking only 36% of British people knew what The Longest Night was. One-third confused the atrocity with December’s winter solstice. Confusion was even more alarming amongst younger respondents, with 10% believing it referred to a national power cut and 5% even thinking it was a Game of Throne’s reference. The Longest Night was the single most aggressive bombing attack to hit Britain with over 2 million homes destroyed and 32,000 civilian deaths. Despite the destruction caused to Britain, a staggering 20% of the 1,000 British people polled believed that Winston Churchill masterminded the Blitz. 4% of Scottish respondents thought JFK was responsible, and 3% even thought George W. Bush had co-ordinated the campaign. The survey results were featured on The Sun and The Scotsman. Premier League nostalgia: Are long-serving managers a thing of the past? OnePoll were a perfect partner for us; exceptional customer service, always replying quickly and thoughtfully. They delivered everything we asked for on-time, and never wavered in their commitment to get us what we needed to determine the best path forward. I can envision a long and perfectly-formed relationship. Their friendly and responsive service is competitively priced, yet they go out their way to address our business needs…they’ve turned around results for us quickly, but not without providing care and due diligence to ensure our surveys are effective as possible. I highly recommend OnePoll. The bowel cancer research we conducted with you received so much regional broadcast coverage – including a full day of reports and phone-ins with people recognising some symptoms and promising to get checked out. The volume of traffic to the symptoms page on the website shows that it can’t fail to have saved some lives as a result. An awesome result, thank you. We needed to do a very short timescale project which required rotations of stimulus material and quite complex routing. OnePoll were helpful, responsive and cost-effective – and when timescales started to slip due to late availability of the stimulus material, their flexibility and teamwork meant the data was still delivered when we needed it. Thank you for all your hard work. The client has been extremely pleased with the presentation and analysis that the survey results fed into. I would have no hesitation in recommending you and the team to others. OnePoll were quick, responsive and efficient at recruiting for our online psychology research study. The sample they recruited was as we requested, and we shall certainly be using them again. I have been amazed by OnePoll’s ability to get high level interviews, especially those in niche audiences at C-Level. They are very responsive and attentive to all of my project needs. OnePoll have provided me with excellent service throughout the two research projects we have worked on together so far. They are very friendly, quick to respond to requests and always willing to support by providing technical advice and research expertise. Data collection is quick, robust and efficient. An excellent service at competitive costs. Thank you so much for the stats. Brilliant service and speed, especially at this time of year. I have been very impressed with their dedication and professionalism, as well as their creativity and ability to know exactly what makes a news story. Whilst you can never guarantee that a PR campaign will be successful, it is no coincidence given their qualities that we have been delighted with ours so far! We’ve enjoyed a very successful relationship with the team. From the outset, they looked to develop a genuine understanding of our organisation’s objectives to generate meaningful media coverage that would have a real impact. Their consumer research has helped us to secure impressive levels of good quality coverage in the right places. They’ve been effective in helping us to deliver our key messages to our target audiences, and have exceeded our expectations in the process.